An Arboretum is an area devoted to specimen plantings of trees and shrubs. Distinct from a forest, nursery or park, it is in a sense an outdoor museum of trees. It is a place where many varieties of trees are grown for research, educational, and ornamental purposes; where trees and shrubs are cultivated for exhibition. Why should we have arboreta and botanic gardens? There are several reasons for a community to support an arboretum. One reason is that as more people take an interest and enjoy caring for their own home environment, it is valuable to have a place where they can see and compare mature plants and to study the different varieties that they may wish to include around their own homes. Another important role the arboretum plays is in the area of conservation and preservation. Just as zoos have played a vital role in educating people about animals and their habitats and preserving endangered species, arboretums are places where endangered plants and trees can be protected and propagated to preserve the biological diversity of our planet. A third vital role an arboretum plays in the community is providing an aesthetically pleasing place for people to visit and enjoy. “Green space” is important for not only the physical health of people but also for the spiritual and emotional health of individuals who want to feel in touch with their environment. How is Klehm Arboretum & Botanic Garden unique? 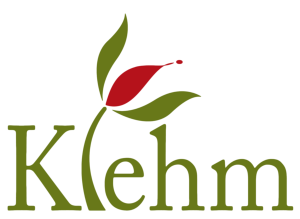 Visitors will see at Klehm Arboretum & Botanic Garden a wide variety of trees and plants unlike anywhere else in the world. The Taylor brothers operated the Rockford Nursery on this site and had a strong interest to diversity. They introduced plants from all over the world. If this was just a naturally occurring midwestern forest, you might find 50 woody plant species; Klehm Arboretum has over 300.